Aurelie Sheehan is the author of two novels, History Lesson for Girls and The Anxiety of Everyday Objects, as well as a short story collection, Jack Kerouac Is Pregnant. Her work has appeared in journals including Alaska Quarterly Review, Epoch, Fence, New England Review, Nimrod, and The Southern Review. She has received a Pushcart Prize, a Camargo Fellowship, the Jack Kerouac Literary Award, and an Artists Projects Award from the Arizona Commission on the Arts. 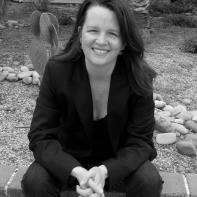 Since 2005, Sheehan has directed the Creative Writing MFA Program at the University of Arizona, where she also teaches fiction. Superstition Review Editor Marie Lazaro conducted this email interview with author Aurelie Sheehan. She says of the experience, "While reading The Anxiety of Everyday Things, I felt at one with the main character. Sheehan creates strong personalities that seem to involve me as a reader. Her writing is realistic and descriptive. I want to thank her for the opportunity to interview her." Superstition Review: In History Lessons for Girls, the main character Alison has scoliosis and it greatly impacts her everyday life. Please tell us the difficulties you had at her age. How do the struggles that you wrote for her relate to your past experiences? Aurelie Sheehan: Like Alison, I wore a back brace for scoliosis when I was a kid. This autobiographical element created its own challenges for me as a writer. I had to face down that time in my own life, which was a bummer, but then I had to hang out with the idea for a while before the novel itself could take off as fiction, freed from that autobiographical tether. Releasing the work from my own life, regardless of its similarities, was an essential moment in terms of writing the novel. SR: Alison and Kate share a very deep friendship. What inspired you to write about this? How did you come up with the details of their friendship? AS: Alison and Kate are at the forefront of history. They critique the world that their parents have created, even as they remain vulnerable to that world's prejudices and proclivities. In History Lesson for Girls, the Seventies is a character, as much as anything else. Alison and Kate could see but not prevent the foibles of that generation. I grew up in the Seventies, so this helped me conjure some aspects, but mostly I was inspired by the core concept of survival—the two girls needed each other. All the details spun out from there. SR: In The Anxiety of Everyday Objects, Winona's character often feels out-shined and is overpowered by her admiration of Sandy Spires. Through their friendship, Sandy inspires Winona and helps her build her confidence. Please tell us why you choose Winona to be the main character of this novel. How did she evolve as a character as you composed? AS: Winona is defined by her desire to help, to be subservient on some level. This is why she is a great secretary. Oh wait a minute, she's a crappy secretary—well, that's because she has this defining anxiety to “help” and be subservient, but on the other hand she rebels against that in every cell of her being. This tension in her character interests me. Sandy is seductive, alluring, but I wouldn't go so far as to call her a friend. On some level, she is an object lesson in what happens if you don't have that duality in your character that Winona has, which could also be called a conscience. SR: Winona begins this novel in a seemingly mundane life where she searches for purpose. Describe what inspired you to create this life for her? AS: See above. But also, I am always really interested in how the personal and the political collide and become part of who we are. Working as a secretary becomes a matrix for all sorts of interesting psychological questions for this character. As you know from the novel, Winona “misreads” the mundane, and that's what her film is about. As a writer, I too like to misread the mundane. SR: Although the journey is mostly from Winona's point of view, there are two instances when the story is seen through Rex's eyes. Why was his point of view needed in these moments? AS: Essentially I make these decisions to serve the novel as a whole. It's always a balance between adhering to the rules you've set up for the narrative—keeping to the game plan as you've set it up between yourself and the reader—and also knowing that yes, there are no rules other than the ones you yourself set, the “rules” that make a novel true. SR: Speaking of Rex, the humor and romance of the novel is based on the relationship between Winona and Rex. Although Winona has hidden feelings for Rex, she dismisses the possibility of him being anything more than a friend. Describe how this relationship evolved while you were composing. AS: Rex was there from the beginning. Sometimes we have these really intimate friendships at the office—friendships that emerge from doing things together, sharing experiences, wiling away the hours. Rex and Winona make the leap from this level of interaction to another one. I can't really say how it happened, because to me the answer is embedded in the actions of the story as they tumble forward. SR: Jack Kerouac Is Pregnant is a collection of short stories. Can you please explain what you enjoy about writing short stories? How does writing a short story differ from writing a novel? AS: This is a big question, one with many answers. One answer would be: I enjoy how in the short story so very much can rest on a single sentence or word. That concentration is exciting. The immersion in a short story is no less intense than that in a novel, it's just over more quickly (usually!). SR: You have a collection of short prose pieces titled One Hundred Histories. Please tell us about this project. AS: I started the project many years ago, interested in exploring the concept of history from a highly personal perspective. The manuscript is a collection of “histories” of objects or concepts. Some of the histories are fiction, completely. But they all try to address an essential element in the things, and all together they form a kind of aesthetic autobiography. SR: You use imagery in every moment of your piece “Pain” from One Hundred Histories. In fact, the imagery is so vivid that the reader seems to feel exactly what is happening. What did you draw on to create this imagery, and what do you think it brought to the story? AS: I'm working on short stories.